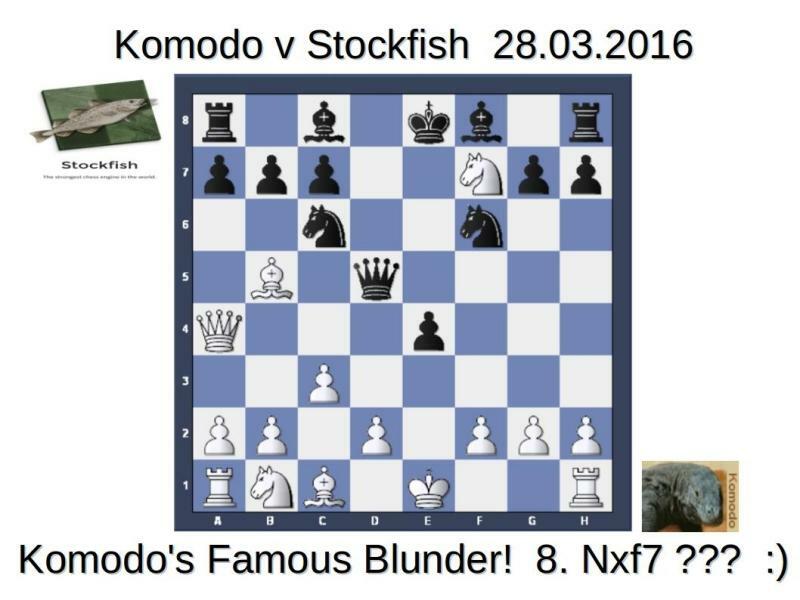 The following game below shows the Real Komodo Move 8.Nxf7 ??? The Biggest Computer Engine blunder for many years! Qd3 14. c4 Bg4 15. Qxf8+ Kxf8 16. Nc3 Qxc4 17. h3 Nd5 18. hxg4 Nxc3 19. It's Amazing How TCEC Always Starts When Komodo is + ? I would not be too quick to make your claims if I was you, plus the fact that in your first post about the subject 3 out of the 6 tables you quote have not even tested 9.42 ?! Not that I really care which engine is top as I use both....and anyone who doesn't knows little! How Often Do Top Chess Players Choose Stockfish's Top Moves ? So what? The next match Komodo may win with different time controls etc...who cares. Anyone would think you yourself programmed Stockfish (you did not). As for the TCEC event , maybe the person who runs that tournament/event has other things to do with his life at the present time and will get around to it when he is ready. @mist wrote: No one needs a running commentary from a biased bystander. That's a 7 Point lead! for Stockfish and the Reason! Everyone wanted TCEC 9 to START! NOW!!! In reality there isn't a great deal between these two engines. The previous 100 game match was drawn. 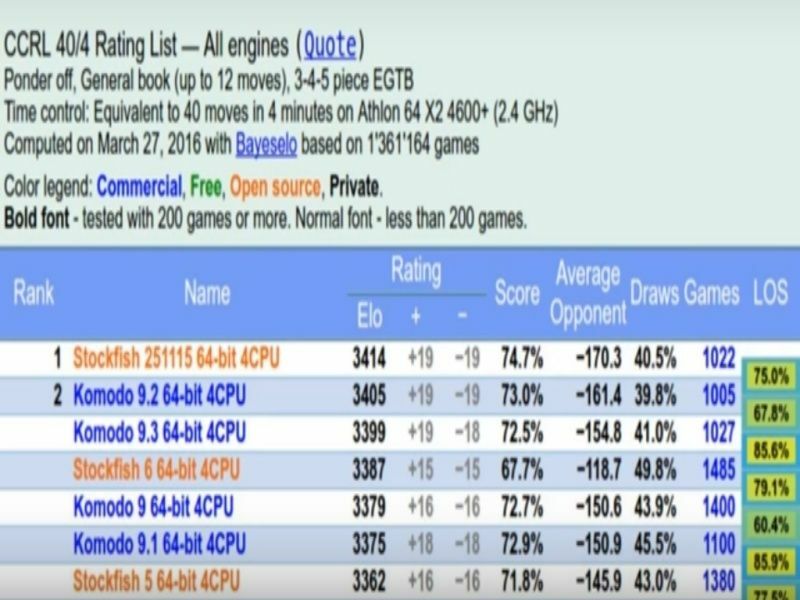 Stockfish certainly has a small edge head to head, but as Komodo performs more strongly against a wider range of engines, it generally ends up topping the rating lists. @Graham Banks wrote: In reality there isn't a great deal between these two engines. The Point you are missing Graham is that TCEC has never been delayed so long to Start the way it has for TCEC 9 ??? I Stick with your Quote below! and with how many others feel the same way! "STOCKFISH A CONVINCING WINNER IN THIS PARTICULAR MATCH"
Of course when TCEC 9 Actually Starts then I am sure as has been shown many times before the Result will again be ??? @WorldChessNews wrote: Of course when TCEC 9 Actually Starts then I am sure as has been shown many times before the Result will again be ??? It will be close I suspect. Stockfish impresses me more than it has ever done before. Graham is it true TCEC is delayed? Also what settings do you use for Komodo 9.42? Larry recently urged dynamism of 110 in engine matches and 80 for analysis respectively. @QueensideCastler wrote: Graham is it true TCEC is delayed? 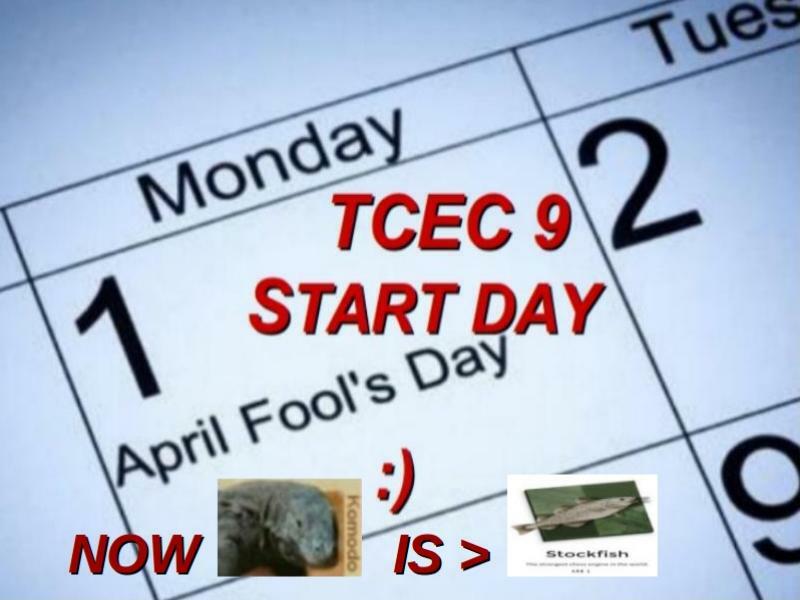 TCEC will be starting soon - I've been told May 1st. 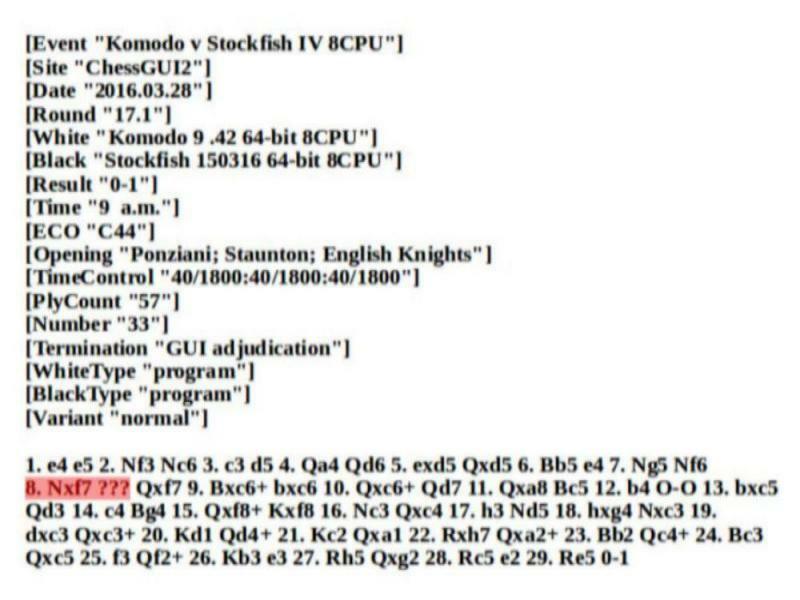 I used default settings for both Stockfish and Komodo. With space for four as yet unnamed engines I wonder if Fritz will join in the fun, but I cannot see that happening. In the first place we all know ( except yourself) just how bad your so called predictions have been in the past. In the second place the TCEC tournament is run at different time controls to the one Graham used, which will make a difference to all the engines. is/was a conspiracy to stop it winning. you of it should it be incorrect......yet again. Was there some strange reason for your having to remove your first posting and then re posting the same thing? (which can make a BIG difference to how any engine works) who knows what can/will happen. This should be a great tournament. Well the top two guns are being kept apart for a little while !